Destin, Florida is known as The Worlds Luckiest Fishing Village. This was the beginnings of the community, but it has quickly grown to a premier resort destination. In addition to numerous gulf front condos, Destin features upscale golf course communities such as Kelly Plantation and Regatta Bay as well as other highly sought after communities such as Destiny and Destiny by the Sea. The recent addition of lifestyle center, Destin Commons featuring Rave Motion Picture Theater, has added another element of entertainment to an already good array of upscale restaurants, grocery stores, nightclubs, wine festivals, seafood festivals and much more. Sandestin is one of the top golf and beach resorts in the country. The property incorporates a whopping 2400 acres including plenty of gulf and bay front real estate. The complex incorporates four golf courses (current tour stop site for the Mens Senior Golf Tour), white sandy beaches, single family homes, condos, a Hilton Hotel on the gulf and the incredible Baytowne Wharf entertainment complex on the bay with its mix of restaurants, shops and entertainment venues. The recent addition of two Marriotts, a Publix grocery store, a UPS store and more shops and restaurants on Grand Boulevard including Flemings and P.F. Changs now make Sandestin a destination in which one need not leave the grounds in order to have a total resort experience. Aside from the four featured communities in our blogsite that are located in South Walton, there are many other communities that feature outstanding restaurants, art galleries, shops and some of the greatest homes and condos on the coast such as Grand Dunes, our newest condo complex, featured in this section. 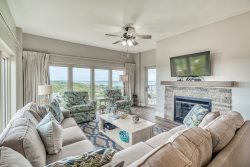 These communities include Miramar Beach, Dune Allen Beach, Santa Rosa Beach, Point Washington, Blue Mountain Beach, Grayton Beach, Alys Beach and Seacrest Beach. South Walton incorporates 26 miles of coastline including the 16 mile stretch of CR-30A that is known as the Carmel of Florida. Watercolor is a master planned, mixed use community located adjacent to and just west of Seaside on CR-30A. The St. Joe Company had owned the land since 1927 before they started development of this 499 acres several years ago. Watercolor homes are based on the Florida Vernacular look that incorporates Southern wood homes that feature large wraparound (oftentimes screened) porches, wood columns and metal roofs with deep overhangs. The grounds of Watercolor include a wonderful, heated Olympic size pool overlooking the Gulf of Mexico, several restaurants (including the upscale Fish Out of Water), a workout studio, shops and much more. It also features the 60 room Watercolor Inn rated the only four diamond hotel in Northwest Florida. Seaside, Florida is one of the most emulated communities in the country and is often cited as the first New Urbanism development with its emphasis on a Walk/Bike to anywhere in the Community concept. Time Magazine called Seaside the most astounding design achievement of its era, and one might hope, the most influential. Seaside is the ultimate mixed use development with a blend of beautiful homes along with a post office, gourmet grocery store, school, restaurants, shops, amphitheater and much more. Seaside gained even more notoriety as the location for the filming in 1997 of Jim Carey's, The Truman Show. A Hollywood set was to be built showing the ultimate dream community but when the director’s wife discovered Seaside, the decision was made to film here. Rosemary Beach is a mixed use, master planned community encompassing 105 acres fronting the Gulf of Mexico on CR-30A. Rosemary Beach is one of the most upscale communities on the Gulf of Mexico with its Dutch and West Indies inspired homes and commercial buildings. The color palettes are nature shades of brown, green, tan and rust, with Bermuda shutters, wide porches and arched garage doors. The commercial aspects of Rosemary Beach continue to grow with the addition of restaurants, spas, shops, a new motel and much more. Even at times when the real estate market is not at its strongest, Rosemary Beach continues to have solid investment potential as its value has held very well when compared with the rest of the market. Panama City Beach is on the cusp of exploding in to a national resort destination. Destin, South Walton and Panama City Beach comprise the Emerald Coast and is the number two tourist destination in Florida behind Orlando. Money Magazine has projected Panama City as the fastest growing city in the United States. This is a community to watch! There are numerous gulf front condos and upscale planned communities.